Multiple rumors have suggested the upcoming "iPhone 8" could be the most expensive that Apple has ever released, with several analysts calling it a "premium" device costing upwards of $1,000. While not exactly contradicting those rumors, a report out this week indicates Apple's OLED iPhone line-up may in fact start at a fraction below that figure. In a column for The New York Times, Brian X Chen quotes anonymous sources who reveal that among Apple's refreshed iPhones next month will be a "premium model" priced "at around $999". Daring Fireball's John Gruber believes Chen's source indicates the iPhone 8 will indeed start at $999, with a higher storage capacity model at $1099 and maybe another at $1199. Based on alleged leaks earlier this week, these price points could correspond with 64GB, 256GB, and 512GB, respectively. One other possible scenario previously suggested by Goldman Sachs analyst Simona Jankowski is that the iPhone 8 will be available in 128GB and 256GB capacities, for $999 and $1,099, respectively (the 256GB iPhone 7 Plus already sells for $969). It's unclear how these prices will reflect in other countries, in particular the U.K., where many Apple products now mirror dollar prices in pound sterling. Factors like the OLED display, inductive wireless charging, new biometric features, and camera improvements – including a 3D sensing capability – are believed to have driven up the price, but Apple is also thought to be pitching the OLED iPhone as either a luxury item or a "pro" level device, or perhaps a mixture of both. Reliable KGI Securities analyst Ming-Chi Kuo believes the OLED iPhone will cost in excess of $1,000, as does an inside source that spoke to Fast Company, so nothing is confirmed yet. Apple is expected to send out media invites next week to its September iPhone launch event, which could fall on September 12, according to the most recent rumors. These prices man. It doesn't even make sense. Like, at all. $1000 for a bloody smartphone, come on. At what point do phones become too expensive? I think Apple are about to find out. Though their ignorance and greed knows no bounds. I really can't wait to spend $1000 on a phone, and then $400 on an LTE watch so I can leave my phone at home! It can cost whatever they want, and I will still see you in the line. 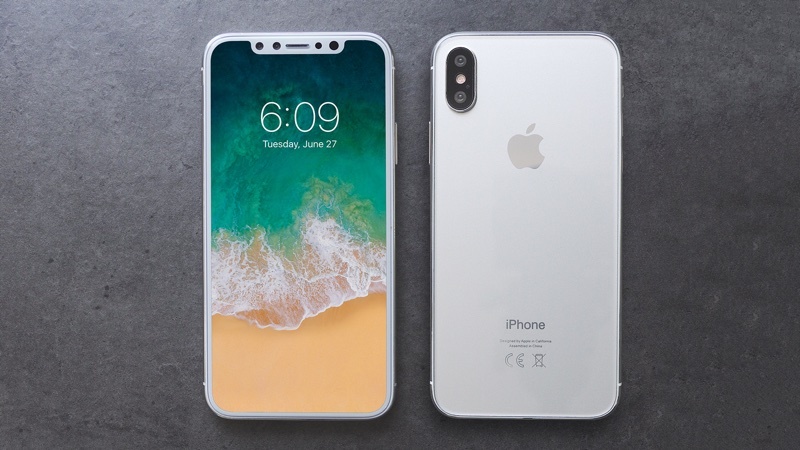 They will still sell out..
Factors like the OLED display, inductive wireless charging, new biometric features, and camera improvements - including a 3D sensing capability - are believed to have driven up the price ('https://www.macrumors.com/2017/05/19/3d-touch-costs-oled-iphone-higher-iphone-7/'), but Apple is also thought to be pitching the OLED iPhone as either a luxury item or a "pro" level device, or perhaps a mixture of both. So, catching up with the competition means raising the price in apple-land ? How I miss the days of subsidized iPhones starting at $199. YOU AMERICANS SHOUDL STOP COMPLAINING IMMEDIATELY! Even if the salaries are higher in the EU, these prices are still immoral to ask here!